"Dayens from Serbia. Once again a company whose existence I had never heard before Wolfgang Kemper's appearance of the Dayens Ecstasy III Custom 2 meeting . The former Eastern Bloc is increasingly establishing itself as a counterbalance to the mass producers who have their products made in China and only stick their name tags to the products. From Serbia I already had the Soulines Dostoyevsky , from Romania the Audiobyte Black Dragon and of course as a classic the Heed Obelisk Sifrom Hungary. All of these companies have a peculiarity that they are usually owner-managed and the devices produced are born out of a passion for music. " "The paint and body of the strings are precisely realistic and holistic. At Pizzicati you can almost see the plucking of the strings. Brass instruments have a lot of radiance and brilliance, horns the quite characteristic pressure that the Dayens transports very impressively. In choral works, the Dayens Menuetto very realizes the power of voices and keeps the middle between mouths and bodies." This is where a new competitor comes in the form of the small Serbian amplifier Dayens. 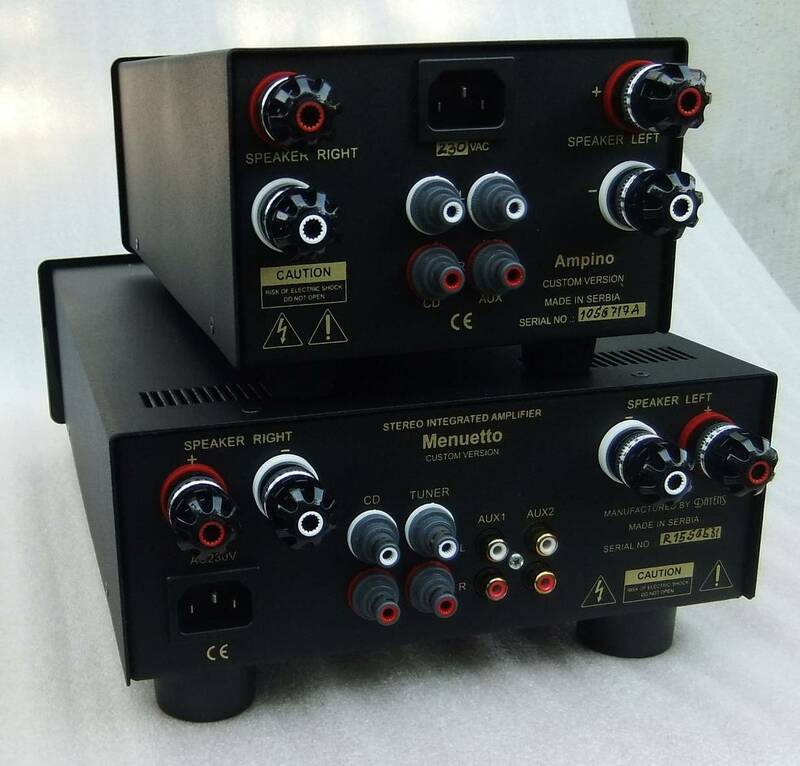 The brand has built a 2x50W to 8ohm amplifier with high quality components (eg Mundorf capacitors) that are rare even in thousands of euros. Its construction still has a touch of craftsmanship and is very poor in terms of functions. 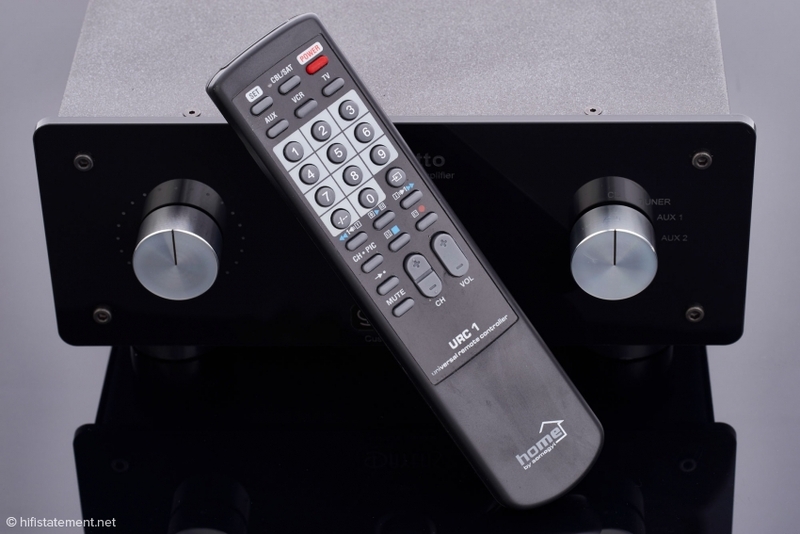 It clearly rests on the maxim of less is more, with only 4 RCA inputs, a volume knob and an input selector. For 990 €, this amp is a find! 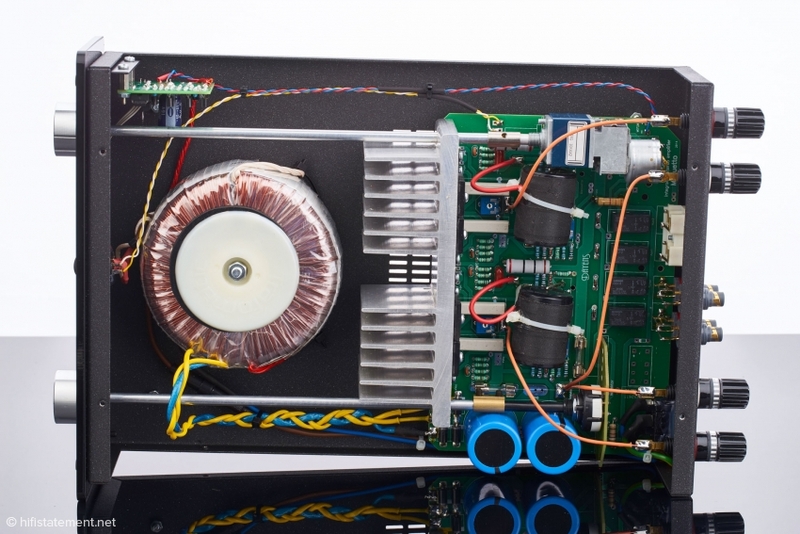 Its 50W is quite sufficient for the Silver 200 and achieves a very good balance between the various volumes." 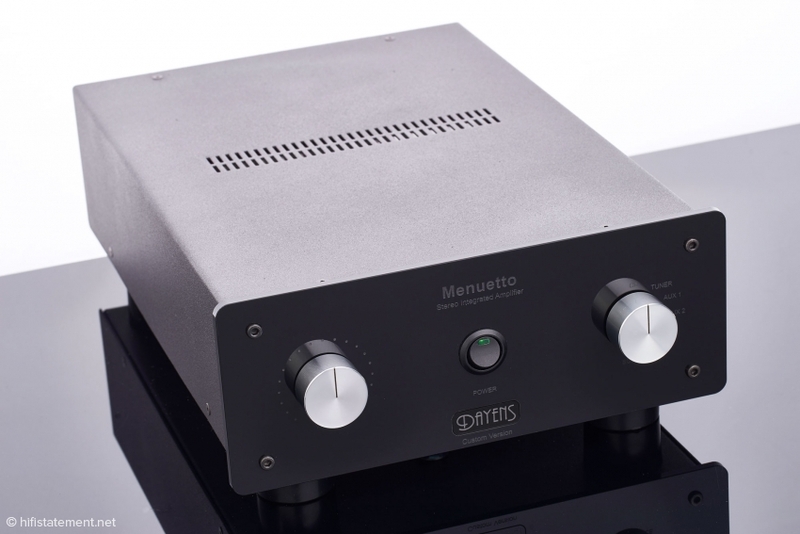 "The Menuetto has a charming look, black finish and compact size, with a light green light on the front panel. 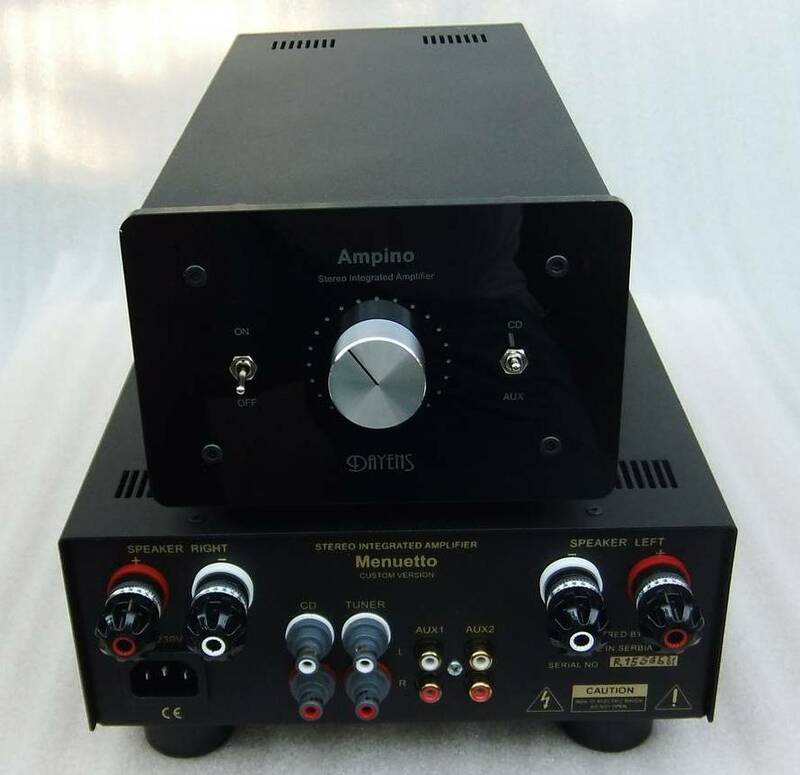 The weight of the Menuetto surprised me; I did not anticipate a hefty 7.5kgs for such a compact chassis (much of this due to the power supply)"
"Some of the discs I listen to a lot at the moment like the latest Brad Meldhau and Mariza (a fabulous Fado singer) had a very pleasing natural presence." "Dayens is a brand that has to be considered from now on. The musical performance compared to its price is remarkable. The customer is assured ‘a lot for his money’." "Well done to Neil for having found this brand and thank you for providing the Menuetto for this review. 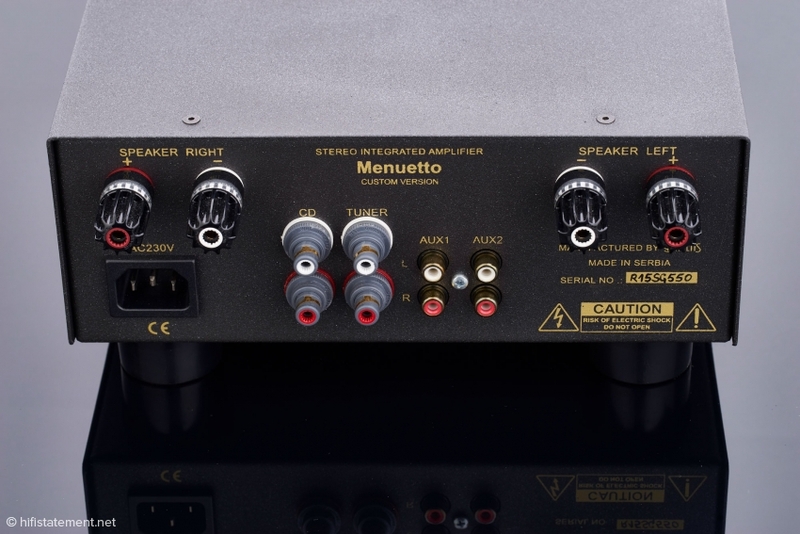 The Menuetto will soon be available in the auditorium of Voir et Emouvoir." 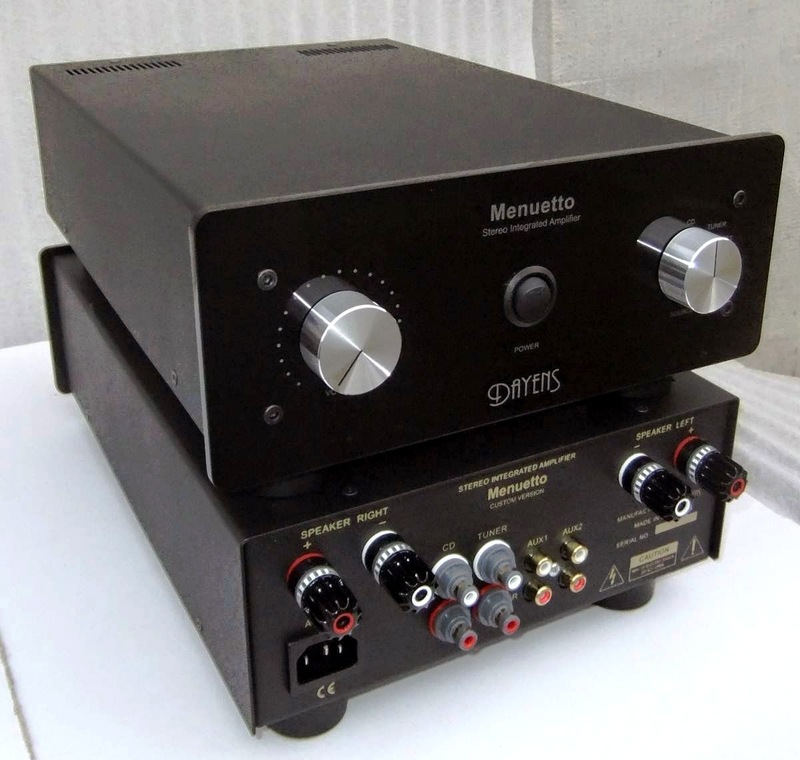 "First impressions of the sound given by the Menuetto was a terrifically tuneful bass and dynamics that were instantly surprising." 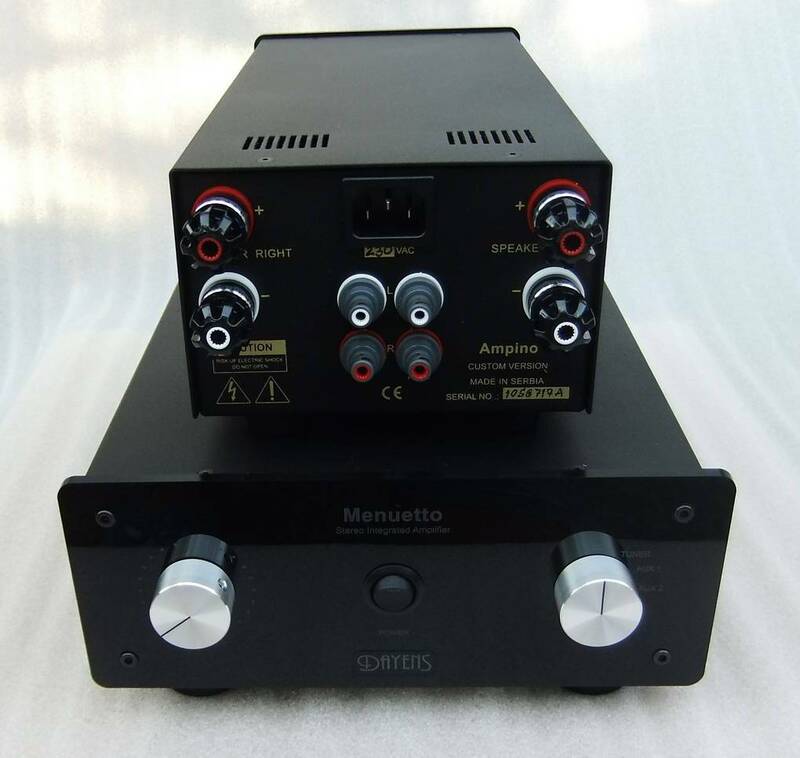 "Longer listening to the Menuetto got me really engrossed in its sound, it’s warm with vibrancy and surprisingly detailed and transparent, with a terrific soundstage"
"It comes packed with great PRaT, an informative balance of tone and detail and is dynamically capable of conveying drama and expression that will shock any Hifi aficionado." "My ears are not good enough to find any flaws with this piece. 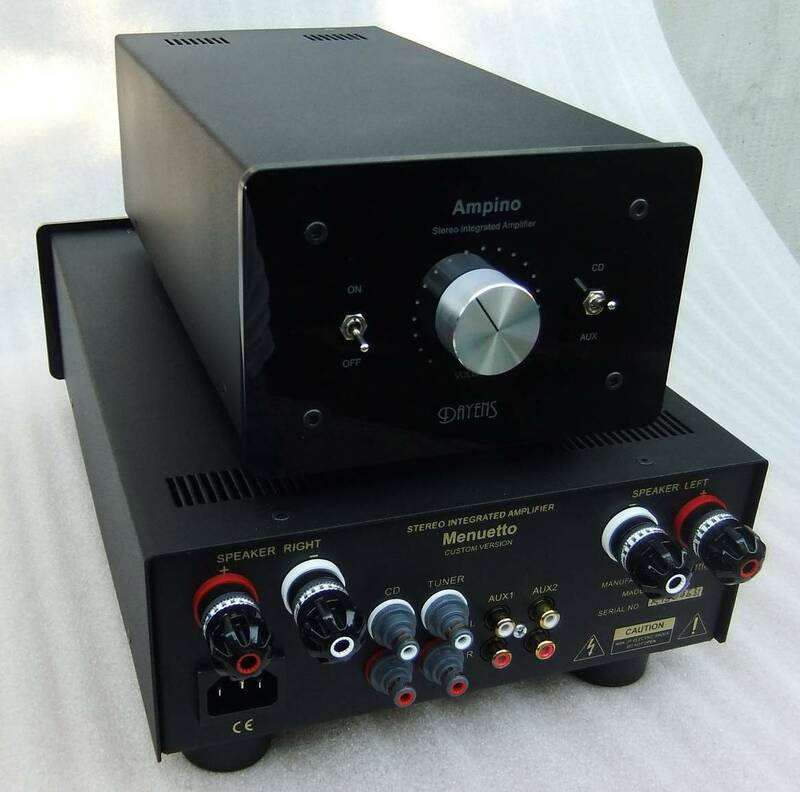 This was the Jordan Spieth of integrated amp world…it doesn’t necessarily do anything great, but does nothing bad. Solid all the way around. I’ll contradict myself here a little bit by saying that this piece was the most transparent of all the ones we listened to." "Homework for competition Conclusion As with other Dayens devices in Menuetto is noticeable great enthusiasm while playing all kinds of materials - it was made ​​by people who are themselves lovers of quality sound and good music, which you can clearly hear from every note. The visual impression is another plus, Menuetto, with it's discreet appearance and combination of classic and modern details, will easily fit into any environment. Finally, as already mentioned, freedom from non-core functions is not considered a minus but a brilliant way to get to the best possible sound at a given price. In this category, Menuetto is the champion." HiFiles No. 52, March 2013.